Lo and behold another major GPU leak has just surfaced on the SiSoft Sandra benchmarking database. 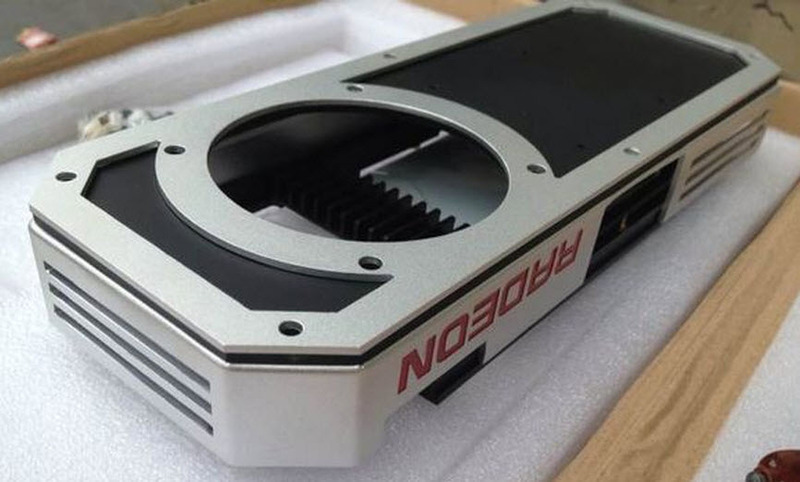 Yesterday we caught a glimpse of the possible specifications for Nvidia’s GM200 GPU. Today we take another possible glimpse at what AMD has been cooking. There is no way to confirm this leak or the prior GM200 one. so I’m going to go ahead and label this as a rumor for the time being. Let’s get straight to it. According to the database listing the GPU will feature 64 GCN CUs/Compute Units. For a total of a whopping 4096 GCN cores. The GPU will also feature 4GB of 3D stacked High Bandwidth Memory / HBM modules clocked at 1.25Ghz. 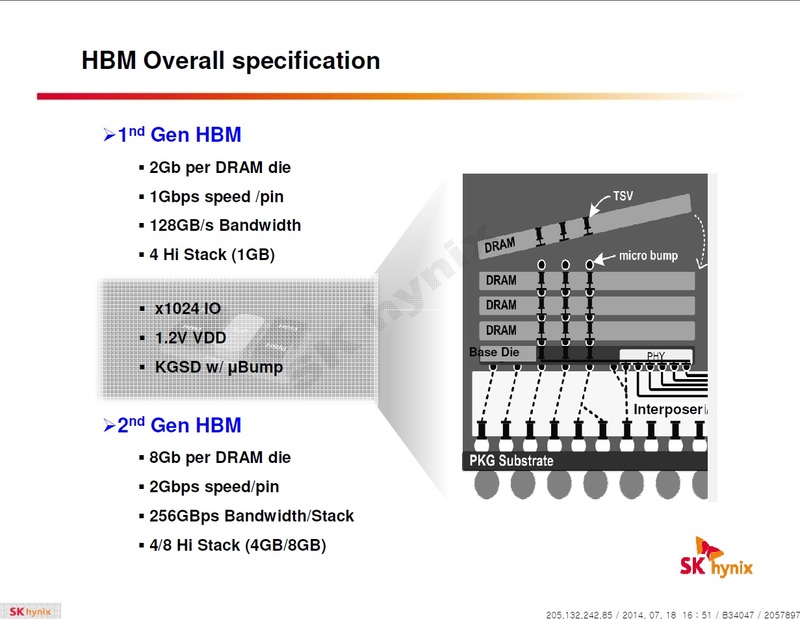 According to the official specifications of HBM. A single Gigabyte HBM stack clocked at 1Ghz/1Gbps provides 128GB/s of bandwidth. Due to the intriguing facets of how this memory architecture behaves, the increments of bandwidth are additive with each subsequent HBM module. With four HBM stacks for a total of 4GB you’re looking at 512GB/s of total bandwidth. This leak indicates that the HBM modules on Fiji XT have been clocked slightly above the default 1Ghz frequency to 1.25Ghz. Which should drive overall bandwidth up by 25% to 640GB/s. That’s almost three times the memory bandwidth available to the GTX 980 which is 224GB/s. And double that of the R9 290X which is 320GB/s. Almost double the 336GB/s data rate of the GTX 780 Ti as well. The R9 390X has by far the greatest amount of memory bandwidth we’ve seen on any graphics card to date. The database for Fiji includes two entries. The earlier one at October 20 strikes me as slightly unusual. The GPU is clocked 200mhz below the latter entry at October 28. And the memory is clocked significantly lower at 350Mhz down from 1250Mhz. While it’s certainly unusual it’s not unexplainable. The earlier entry could possibly be of a very early engineering sample. Where only functionality was being tested rather than the stability of the chip or the clock rates. At 4096 stream processors and 640GB/S we’re looking at a 45% increase in SPs over Hawaii (R9 290X) and a more impressive doubling in memory bandwidth. So this card should be an absolute monster at high resolution gaming such as 4K or Eyefinity. The previously leaked liquid cooling shroud for the card has turned out be only one of four prototypes according to Videocardz. So we might actually see AMD introduce the R9 390X with both liquid and air cooled reference designs. Interestingly enough the leaked specifications for GM200 also has it outnumbering the CUDA cores of GM204 (GTX 980) by 50%. So it seems great minds think alike, as both red and green have opted for a similar generational leap. 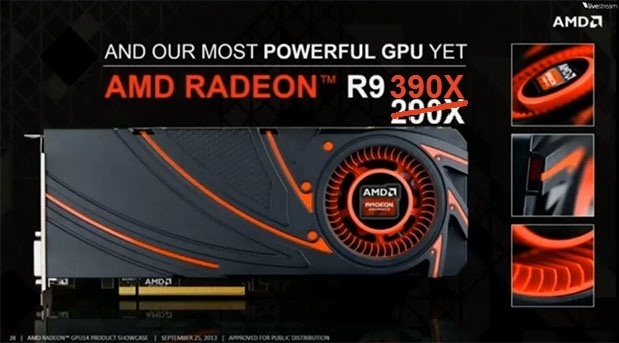 With the exception of AMD going with HBM approximately a year earlier than Nvidia. As green intends to use that technology with the Pascal graphics architecture in 2016. Below you’ll find the specifications for both GM200 and Fiji X exactly as they were found in the SiSoft Sandra databse. I’ve added both current flagships from AMD and Nvidia for reference. This should only serve as a guideline based on the recent SiSoft Sandra leaks. Like I said earlier none of these database leaks can be verified. However they do give us an idea of what to expect. And the specifications listed here are certainly not out of the realm of possibility. In fact they’re very much where one would expect them to be. More should come to light as we approach 2015.